Cabinet - Saturday was one big, big day of music and we tried to see as much of it as possible! We started out at the Potomac Stage again, this time for Cabinet from our good vibes the night before. First and foremost, I have to say that more than any other band new to me at DelFest, people asked me if I was already familiar with Cabinet. I must have answered at least 10 folks in the negative before seeing them open for Greensky at Late Night so, needless to say, I was pretty psyched to see them again in the daylight. The fellows certainly didn’t let me down…you want dancing music? You’ve found some fat sawin’, mad pickin’, monster bluegrass dance times, my friends! And, even though I didn't have much prior experience to compare it to, I heard from several DelFesters that this was the largest crowd they had ever seen gather for a set at the Potomac Stage. Not bad, boys! Considering they went on before noon, that made such a large crowd all the more impressive. I would be pretty surprised to find Cabinet invited back for DelFest 8 and not be gracing the Grandstand. I don’t say this lightly: go see this band as soon as you can! If you love the grass, you’ll love this advice. Just have a little faith will you? 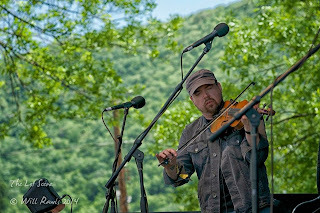 As we left Cabinet behind, we swept along through the day’s many fantastic music options and caught The California Honeydrops and the Carolina Chocolate Drops along the way, both of which proved to be pretty impressive. We waltzed through The Reverend Peyton’s Big Damn Band’s “good crazy” one more time on our way to Del’s evening set, enjoying the bearded magnificence of the man, his magnificent big damn beard, and his monstrously fun big damn band. 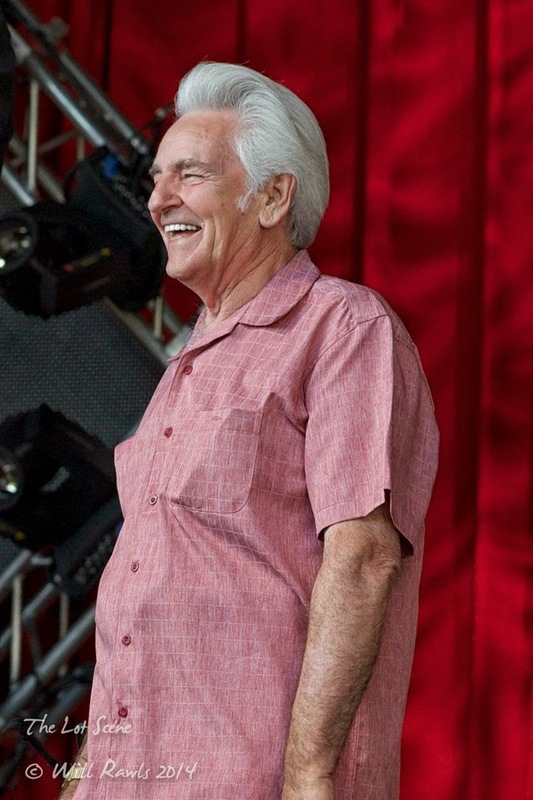 The Del McCoury Band - Yet another incredible set from the man himself and his fabulous band. The reason for the season, so to speak, it is always a privilege and an honor to see Mr. McCoury and the musical powerhouse he’s assembled to back him. It is like watching decade upon decade of history and tradition and musical prowess in perfect harmony. The high point for me was when singer/songwriter Jim Lauderdale came out for a haunting duet with Del — in one word: mystical. It certainly made the crowd hungry to find out what was to come from Skaggs and Hornsby around the bend. Ricky Skaggs, Bruce Hornsby, and Kentucky Thunder - Simply put, I was…not…expecting…that. Wow! I remember seeing Ricky Skaggs play Six Flags Over Texas when I was in my late teens and I must admit, his act has changed ever so slightly since then. As in completely. Not really a hint of the country sound I remember in the mix and with (the reinvented) Bruce Hornsby and Kentucky Thunder there to round out the roster, in the immortal words of Carl Weathers on Arrested Development, “You got yourself a stew going! !” Very interesting to watch Skaggs tearing it up on mandolin like a madman…certainly in contrast to my memories. It's always glad to form new ones, that’s for sure. The Travelin’ McCourys - I have only had the good fortune of seeing The McCourys a few times before coming to their father’s festival this year. 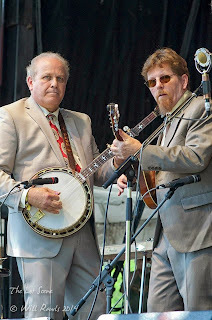 Suffice it to say, with the wickedly fast technical skill, unfathomable talent, and unparalleled bluegrass ensemble sound that these fellows seem to possess in a joyfully infinite supply, they very quickly made a life-long fan out of me. Ronnie, Rob, Jason, and Alan were joined as always by their buddy Cody Kilby on guitar for a lightning quick, honest fun, and damn tight set. I look forward to so much more raucous and magnificent bluegrass music from this band in my future, certainly jazzed to see they had been added to Strings & Sol this year. Late Night - The Shook Twins - Railroad Earth - Having missed The Shook Twins on Friday and never seeing them before, I was looking forward to witnessing how they might warm up the crowd for Railroad Earth’s late night show on Saturday night. Certainly one of the highlights of their set was the girls singing and beatboxing The Fugees’ “Killing Me Softly” backed by the lads from The California Honeydrops. Good stuff, ladies! Bravi! Railroad Earth finished out the night in their signature style, again giving the many RRE fans there present exactly the kind of fix they were hoping for. Sunday started slowly. And warmly. But, DelFest rallied as a whole and we all got back on the mule for one more go round! I spent a good bit of the early day wandering the varied vendors of the fest, poking through Dead pins and tie dye and tapestries and guitars and all manner of lovely mementoes, keepsakes, and other necessary festy accoutrements. I must say I was very pleased with the offerings and the vendors themselves were as lovely as the patrons and staff. I even picked myself up a new kilt! After my shopping adventures I headed towards the main stage for a bit of music. 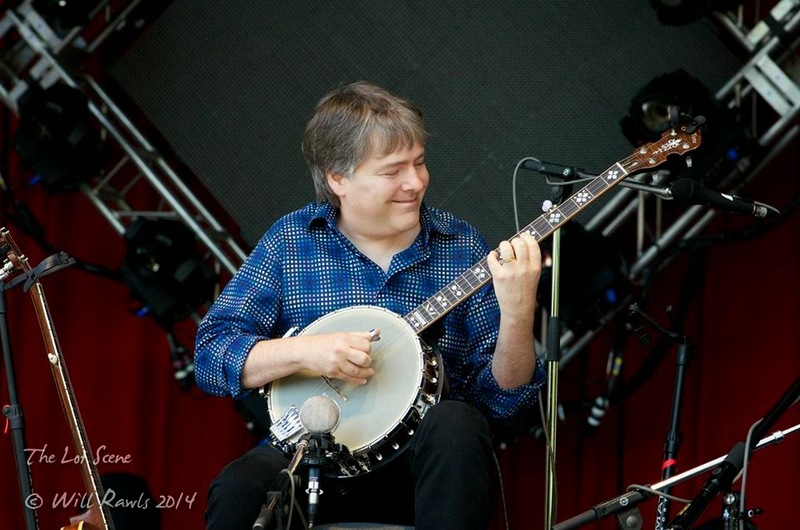 Bela Fleck & Abigail Washburn - The earlier shows on Sunday were all admittedly a bit calmer and more relaxed given that the Gibson Brothers set the tone with their special bluegrass gospel session at 10:45 that morning. 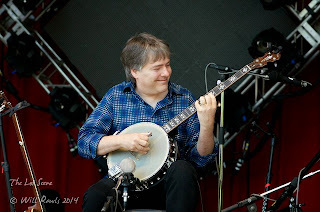 Later that day I caught about half the Bela Fleck & Abigail Washburn show at the Grandstand in the heat of the day, Sunday being the hottest and stillest of the weekend. While I found the music interesting in both form and fashion and Abigail’s anecdotes from her world music background fascinating, the crowd honestly seemed to find the set a bit slow, almost too much so, when compared to the general energy level of the entire fest up to that point. However, I also spoke with several folks who enjoyed the set very much, so I’ll chalk it all up to a matter of a difference in festival musical palate. But that is why we come to festivals like Del’s, no? A wide variety of music morsels to satisfy even the broadest of our melodic cravings? Quite so. 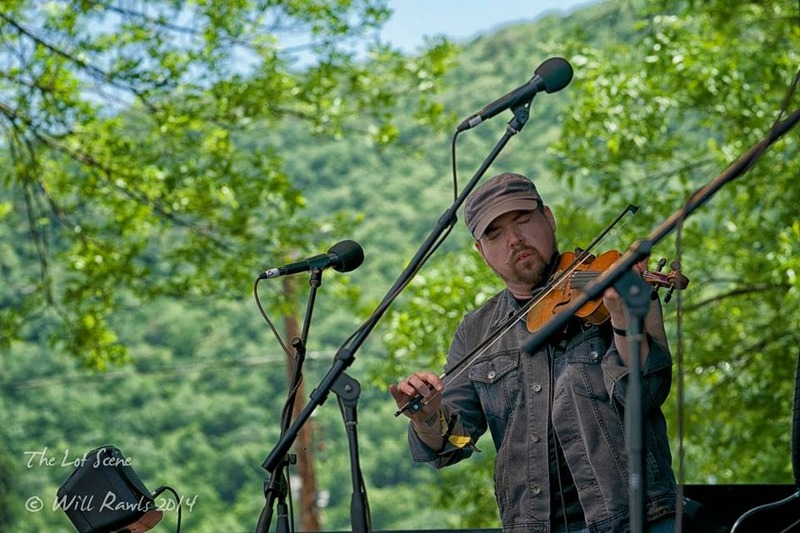 Hot Rize - Another one of the absolute stand-out incredible new acts for me this weekend, which is hard to believe since they hail from my native state of Colorado and have been an integral part of the bluegrass and newgrass worlds for many years now, was Hot Rize. Technical skills? Yup, they’ve got ‘em in spades. Talent and tenacity? The both of ‘em. A strange and dry sense of humor? Now that, they most certainly have. And repertoire-wise? Well, trust me when I say that, if you like grass, you’d love what Hot Rize has to offer. Plus, they have a, well, mirthfully “interesting” band-within-a-band act, too: Red Knuckles and the Trailblazers, a cowboy group from the town of Montana, Wyoming…never before have I seen a guy with fringe on his shirt and his guitar or a madcap slide guitarist with a lunatic’s dinner jacket and quite the jokes to tell… but I certainly have now. Simply put, if you see this band on a local venue’s calendar, for the love of all that is a good time, get thee to the concert! After Red Knuckles and the gang morphed back into Hot Rize, Del came out rockin’ jeans and a shirt (no jacket!) during “High On A Mountaintop” and asked if he could help sing harmony. And boy did he ever! It was one of my favorite moments of the entire festival, as well as one for the crowd. Not a band I plan on letting fall off my radar screen now that they are on it…and make sure to get it on yours, my friends! The String Cheese Incident - After just having seen the fellas from Cheese summarily shame Phish at Jazz Fest this year, with one of my favorite Incidents to date, it goes without saying that I was pretty pumped to see what kind of mirthful magical madness they would bring to Del’s 7th fest. I wasn’t the only one in the crowd wondering what the night had in store, but as soon as they walked on stage and took us on a soaring, Peter Pan-esque flight right up into the night sky with a mighty “Song In My Head,” we all were assured that hearts would flutter, pulses would race, feet would dance, and faces would melt as we all basked in the glory of our long-awaited Cheese. The list of notable guests was reminiscent of their Jazz Fest splendor and commenced with Joe Craven joining in for an unforgettable “Smile” and later with Del striding out for a rollicking “Sittin’ On Top of The World.” The Grateful Dead’s “I Know You Rider” featuring some classic Jeff Austin face (as well as mando) and Tim O’Brien and Nick Forster of Hot Rize quickly became a crowd favorite of the night. 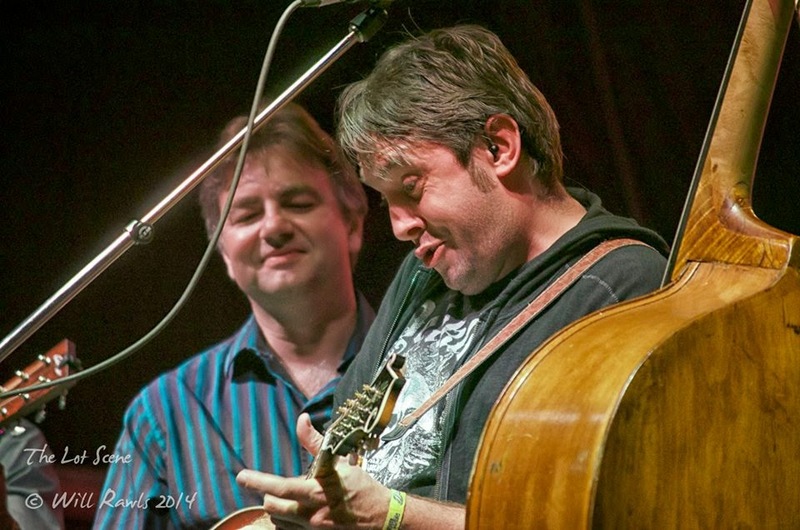 My favorite moment between both sets, however, had to have been the truly mind-boggling “Colorado Bluebird Sky” in the second wherein the Cheese boys were augmented by none other than The Travelin’ McCourys. I mean, really? Seriously? And the rather perfect “BollyMunster” encore to finish our night? Woswers! When I asked a euphoria-eyed lady behind me for a single word to describe her DelFest 7 String Cheese feeling she said, “Quite the Incident! That’s three words, but that’s the only way I can feel about this!” Quite the Incident, indeed…about the only way I can feel about it, too. As I went back through my voice notes and videos and listened to Rob Clarke’s recordings of the sets, a quick, but special moment on stage re-emerged for me that I had to share as the closer for my DF7 SCI review. 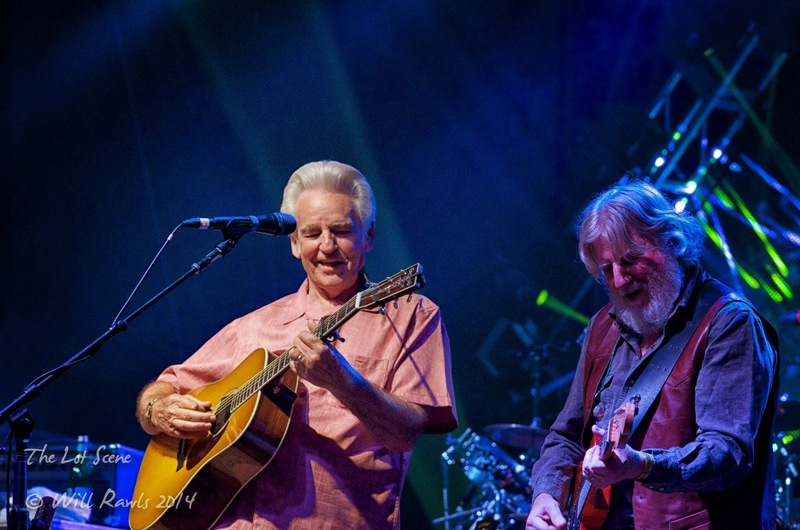 As the 10:02-long freaknasty freight train of “Colorado Bluebird Sky” finally came to a power crashing terminus, Ronnie McCoury exclaims into the mic, “Well that was an Incident right there! !” To which Billy Nershi replied with gusto, “It sure was! !” So, not only were we as the crowd feeling the soul-fulfilling musical connection of the Sunday eve, but so were the magicians assembled on stage who, as conduits to the ether, made it all possible. Looks like “Incidents” were trending all over, huh? Del Yeah! Packing out at DelFest can be best summed up as easy, breezy, and beautiful. No real worries here that I witnessed. As for clean-up, The Lot Scene would like to extend a huge shout out to Clean Vibes for their usual outstanding job of keeping the grounds so clean and recycled! We couldn’t live this lovely life without the incredible unsung behind-the-scenes heroes like you and we thank you! Next, when sadly it comes time to leave on Monday morning, you will find it is just as easy as your arrival experience if not a bit easier due to the pretty staggered rate at which people pack up and vacate the premises (“…There’s a line in the sky, it’s jet exhaust…”). Enjoy your last morning filled with saying your good-byes and exchanging information…you don’t have to be gone until afternoon! A note about the weather this year — honestly I must admit that this was, without question, the best festival weather I’ve ever experienced! I know that so much of that is purely chance, but it is worth noting how incredibly wonderful weather affected the festival and all its patrons, including myself. Del Yeah! 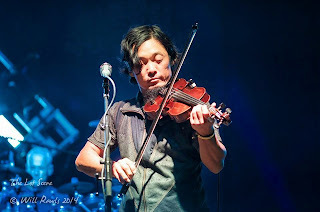 My final DelFest 2014 moment came when I arrived back at the Denver airport on Tuesday evening. As I stood there waiting for my luggage I noticed a couple meeting up with their friend from my flight to give her a ride home. Since they were just behind me and excited to see one another I couldn’t help but overhear bits of their animated conversation… as soon as the term “DelFest” was spoken I turned around, unable to help myself, and said that I had just come from there as well. Instantly this kind lady and I shared hugs and memories and a few laughs about how amazing the weekend truly had been. After I had grabbed my last bag from the carousel it was time to head home, back towards my lovely Flatirons and beloved Boulder and my sweet family waiting for me there. As I walked by, her intricately henna-decorated elbow slowly rose into the air for one final “Delbow” of the weekend which I, of course, gladly and heartily returned. And thus, with a smile on my face and laughter trailing out behind me I finally ended my first DelFest experience. And, believe you me, it won’t be my last.